Half of Australia think cyclists as sub-human so scientists want us to call them "people who ride bikes." Researchers have announced half of Australia think cyclists are sub-human. Speaking of bikes, apparently we are doing share bikes wrong. Post continues after video. We’re struggling to grasp how…that is a thing people…willingly clicked yes too. As in, they witness a human being, with arms and legs, sweating on a bike and go ‘nup, not a real human, sorry’. I mean, we get that lycra is confronting, but this feels a bit too far. It feels quite…hard, to rename a very popular noun, that describes a group of people. It’s like renaming a surfers as “people who surfer” or swimmers as “people who swim”. The research paper goes on to explain the reason behind their suggestion, describing the distinct link they found between the dehumanisation of cyclists and acts of aggression towards them. Which is obviously, very concerning. Respondents admitted in the study to exactly how they treated the sub-human cyclists they’ve crossed paths with on the road. 17% have used their car to deliberately block a cyclist. 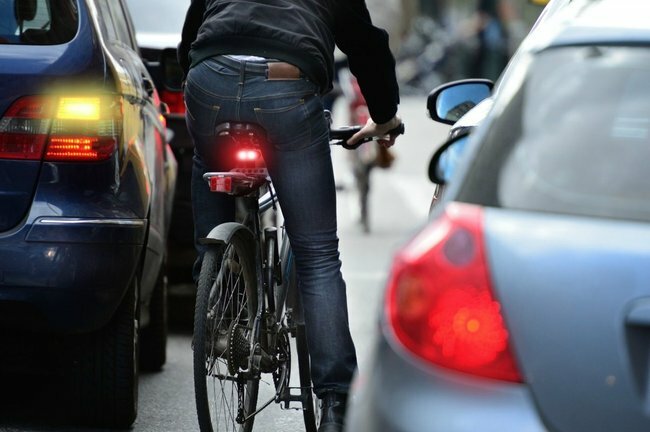 11% had deliberately driven their car close to a cyclist, and nine-per-cent have used their car to cut off a cyclist. The study concludes that we need to put a ‘human face to cyclists’ so we can improve attitudes and reduce aggression directed at them. It suggests this will result in a reduction in cyclist road trauma and an increase in public acceptance of cyclists as legitimate road users. In 2017-18, 580 were cyclists were killed in Australia. So yes, attitudes need to change…and we need to make sure our ‘people on bikes’ feel nothing less than human. Do you think removing the word cyclist is going to help? Let us know in the comments.